This year’s winner demonstrated leadership and a course of excellence in cancer and chronic disease navigation. This LNN developed an idea that stuck and has become an AONN+ initiative. Reach out to other LNN leaders when considering LNN programs for your network. Through local navigator networks and other resources, you can learn how to reinforce the importance of your profession. Welcome to the East Tennessee Navigator Network! The East Tennessee Navigator Network has shared how this new chapter formed, and the consensus building to become the latest LNN. The South Florida Local Navigator Network worked with a vendor to learn more about an obscure disease. The Central Indiana Local Navigator Network is having a great 2018, holding frequent meetings with good attendance, enjoying interesting discussion topics, and hosting a “Pitch In and Networking” event. Topics from the United Navigators of Oklahoma Navigator Network meetings can be applied to any local navigator network. Following Barbara R. McHale’s retirement, we are proud to introduce the Upstate New York Local Navigator Network’s new co-leaders. Sharon Gentry shares local navigator network meeting reports from Nigeria and North Texas! Announcing the newly established AONN+ Local Navigator Network of New Hampshire! Join the conversation on the new AONN+ Facebook group! Leverage the AONN+ network to reach out to local navigators and invite them to your local navigator network. An LNN Network Leader from Arizona treated local navigators to a special presentation by AONN+ Leadership Council member, Jennifer Klemp, PhD, MPH, at Arizona’s statewide LNN meeting. A suggested step-by-step guide provides a framework for presenting a case study on a central topic in your local navigator network meeting. Looking for a Local Navigator Network? Leverage your AONN+ membership to join a local navigator network and connect with oncology navigators in your area. The AONN+ website can help you find peers and connect with them. Look to AONN+ videos and JONS articles for inspiration! New Mexico’s local navigator network is utilizing technology to connect with members remotely. Guest columnist Jo W. Weathers, RN, BSN, OCN, CBCN, discusses the challenges and rewards of starting and continuing a local navigator network. A survivor’s candid memoir about her cancer journey and how it created a whole new life for her could prove an enlightening read for Local Navigation Networks. Check out these resources for some meeting ideas. At the AONN+ Annual Conference, members and leaders from Local Navigator Networks (LNNs) shared valuable insights and ideas for maximizing the impact of LNN meetings. The Virginia Cancer Patient Navigator Network (VaCPNN) serves as an excellent model. Members Memo: Welcome to the New 2017 Local Navigation Networks! It has been an exciting summer and fall as new LNNs have formed to promote oncology navigation in their areas! Many are new, some have been meeting regularly for years and others are adventuring out in a new format! Did you know that one in four employees will be diagnosed with cancer? There are some resources that can help you. Did you know that as little as a 6% weight loss predicts a reduced response to oncology treatment, reduced survival, and quality of life? In 2017, AONN+ recognized the effort and work of the local navigation networks (LNNs) by offering them opportunities to provide the ONN-CG, OPN-CG, or beta thoracic certification exams in their area. Recently, all the LNN leaders were notified of some updates and AONN+ would like to share them with the general membership. Great job by the Upstate NY LNN as they are increasing their navigator and social worker membership after each gathering! Nurse navigator Molly Sutton leads over 50 navigators in the North Texas LNN. This LNN meets quarterly to increase knowledge and network. I want to welcome Carolyn Allsen RN, BSN, OCN, ONN-CG as the new Houston Area LNN president who presides over an active group of navigation professionals. This group meets monthly, and they have a group of 35 members that share community resources and present topics on local pearls of wisdom. The Central Texas Oncology Navigator Network (CTON2) has consistently held quarterly meetings over the past year with an average attendance of 17 dedicated navigators. They use medical representative–sponsored meetings on a variety of navigation topics. The Greater Kansas City Local Navigator Network (LNN) is breaking new ground this month, as they will be the first LNN to host a test site for AONN+ certification! They will have a local meeting the night before the testing, with a speaker presenting, “Is it Okay to Laugh? Benefits of Humor.” What a creative idea to help members relax prior to taking a test! Thank you to each member who participated in the regional meeting in Phoenix this spring. My favorite part of each conference is watching the interaction among the members. The term “navigation sponges” came to mind during the open microphone question sessions. Congratulations to Jo Weathers and her team in South Carolina for continuing to have a successful navigation support outreach in their area! They held 8 chapter local navigator network (LNN) meetings in 2016 and have grown from an initial gathering of 8 attendees to as many as 26 this year. Thank you for the tremendous response to the call for how navigators interact around tumor boards. The information progressed from those who are developing their role around this function to the very experienced member. The next several months are the peak time of year when people will be exposed to the sun. As such, navigators can help get the word out about prevention efforts against this potentially deadly form of skin cancer. A special thank you to the thoracic nurse navigators who came forward to create the thoracic certification examination. It is a sign of professional commitment and growth to volunteer for a task that will help one review their profession as well as learn something new such as test question development. What does AONN+ have to offer its members? Sharon Gentry outlines some of the most popular member benefits. Discover how AONN+ has enabled your fellow navigators to better serve their patients and advance their careers. This week, April 10-14, is National Tumor Registrars Week or National Cancer Registrars Week. A huge thank you and acknowledgement of all the work of cancer registrars that affect patient care and ways they help support the objectives of nurse navigation! Here's a major shout out to all our friends in this department! Most navigators will find transportation to be a major barrier to care no matter where they practice. The rural areas provide a distance challenge, the urban areas face missed bus connections and the suburban falls between the two. It is not surprising that 4 million patients miss appointments just because they don't have a ride each year. Many navigators have enjoyed the increased communication that electronic health records have delivered over the recent years. Prior to going live with our electronic medical record (EMR), our navigators had a read-only view and this encouraged consistent teaching along the care continuum as patients transitioned across the healthcare settings. The Patient Navigation Framework that delineated the roles of various navigators was used in developing competency statements for patient navigators. This standardized the oncology patient navigator role and led to training on the competencies as well as certification. A recent writing adventure revealed how proud each one of you should be as patient navigation has evolved over the last decade as a new health care delivery support strategy. And you have been a part of it by answering surveys, writing articles about evidence based practice, attending conferences, participating on project teams, sharing best practices as well as challenging leaders for more information on navigation. Administrators, Directors, Managers: Come to AONN+! Sharon Gentry explains why administrators, directors, and managers who oversee and work with navigators should participate in an AONN+ conference. Sharon Gentry invites you to join us at an AONN+ conference to hone your skills and discover best practices. Sharon Gentry encourages navigators in rural areas to contact AONN+ to connect with other navigators. Sharon Gentry describes how navigators work with the cancer care team and advocate for their patients. Sharon Gentry talks about how to manage pushback from the cancer care team, including how to communicate with the patient and how to potentially overcome barriers to care. Navigators recognize that their patients' life goals are important, and it's up to them to communicate their patients' needs to the health care team. Sharon Gentry shares a personal anecdote about how she helped a woman get the treatment she needed, and how that woman has become an advocate for navigators. Sharon Gentry encourages patients who have just been diagnosed with cancer to inquire about connecting with a navigator. One of the dominant themes in oncology healthcare is how to address costs, especially as more diagnostic tests and cancer therapies emerge. The new Oncology Care Model is trying to address this issue by transitioning from the traditional fee for service to a value-based care model. Financial support for continuing education has been a challenge as healthcare systems have trimmed budgets in recent years. We realized this ongoing financial challenge for navigators and hoped the free one-year AONN+ membership along with waiving the navigation certification fee were enough financial incentives to attend the AONN+ annual conference. Thank you navigators for creating an exciting and energetic time at the seventh annual Academy of Oncology & Patient Navigators (AONN+) conference. Members Memo: Trust It or Trash It? Members Memo: Our Newest AONN+ Local Navigator Network! The first gathering for the AONN+ Central Texas Oncology Local Navigator Network (LNN) held in October was a great success! Thank you to Andrea Shaw, St. David’s Navigator, who performed a tremendous job coordinating the network! We are a little less than two weeks away from the annual convergence of navigators! The excitement mounts as the milestones of certification and metric values will be accomplished and released in 2016! In less than a decade, AONN+ has grown and listened to the needs of the membership feedback to achieve these objectives. We have shared with our AONN+ members how the Oncology Care Model (OCM) is being used to highlight value and cost efficiency. The OCM success is based on collection of data in regard to specific outcomes. This falls in line with the Institute of Medicine (IOM) Ensuring Quality Cancer Care report, that recommends quality care to be measured using a core set of metrics. As October comes in with all the pink fanfare and breast cancer awareness celebration, there is group that shares comments such as: "I just want to hide under the covers and check out.” And "I just don’t want to be confronted with all this pink garbage." Technology: you either love it when it works and helps you in your job or you are frustrated when it fails! Each year AONN+ presents a survivorship session at the annual meeting and it is a takeaway of ideas and further stimulating conversation on what is best practice. Here is clarification around the discussion as to who is a candidate to sit for the nurse navigator (ONN-GC) certification exam in November. Sharon Gentry explains that certification enables nurses to demonstrate a higher level of expertise and commit to life-long learning in patient care improvement. The Evidence Into Practice (EIP) Committee's mission statement is: "to engage and encourage potential performance improvement, outcomes-based research projects with the assistance of mentoring, and possible collaborations with other organizations” displays the vision to strengthen all navigators and their practice patterns. If you are someone who enjoys being in the middle of the action and getting some of the latest information on navigation, please check out the Evidence into Practice Committee (EIP). Congratulations to the new chapter leaders for the North Texas Local Navigator Network! JaLisa Boyd, RN, BSN, MS, and Molly Sutton, MS, RN, OCN, Jane Reeves, RN, BS, CBCN, have mentored and turned this strong Local Navigator Network (LNN) over to capable navigators! It was refreshing and “good for the soul” to see all the networking in New Orleans at theAONN+East Coast Regional meeting (ECRM). Members of AONN+ have had the privilege of participating on The Association of Community Cancer Centers (ACCC) new education initiative, Achieving Excellence in Patient-Centered Care. The Houston Area Local Navigator Network (LNN) has demonstrated that navigators from different healthcare institutions can truly put the “patient” in patient centered care! Kudos for the great work of the Central Indiana Local Navigator Network (LNN)! They are moving forward with their vision, goals, and objectives to strengthen the navigation services in their area. I hope everyone is taking advantage of all the CE hours available through the AONN website! The AONN+ West Coast Regional Virtual Symposium was released on September 30, 2015 and will be functional until September 30, 2016. Congratulations to the AONN+ Southeast Michigan Chapter on forming a chapter and bravely meeting in the throes of winter! Members Memo: Are you aware what your patients are taking besides prescribed medications? The prevalence of herbal medication use among cancer patients is greater than 35% in the United States. A lot has been published discussing the interaction between herbal products and conventional medications in oncology care. I hope each member is off to a Happy New Year for 2016! The new year is often a time of reflection as well as a visualization of things to come. As navigators, the characteristics of proactivity, as well as flexibility, are vital to our job as well as an asset for patient interaction. As we look forward to the East Coast Regional Conference in May, a topic of interest and discussion will be palliative care. As navigators, we are called to be financial stewards for our patients. A personal experience of an elderly family member who was being navigated through a cancer diagnosis this year was an example of this valuable role of navigation. 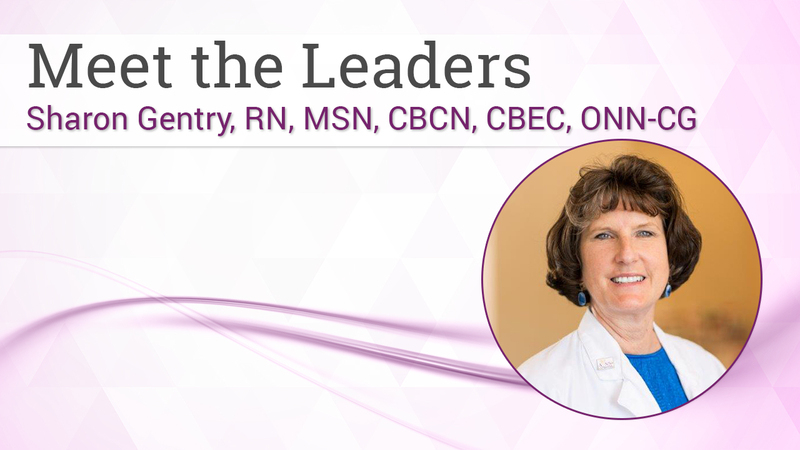 We are proud of Amy E. Rettig, MSN, MALM, RN, ACNS-BC, PMHNP-BC, CBCN, Emergency Services-Clinical Nurse Specialist, who has been named to the SelfMade Health Network Leadership Council. Our AONN+ chapter formed as a few nurse navigators were getting together occasionally after work to share ideas and support each other. This grew into a plan to launch a state chapter of AONN+ after learning how simple it would be to start. The AONN+ upstate chapter was formed after a discussion at the AONN+ national meeting on developing a local chapter. Kirsten Beeker was extremely enthusiastic and the main driver of the chapter development. Each AONN+ chapter leader was asked to share best practices of their chapter with the AONN+ membership. Remember, there are no standard templates for the chapters. Distress screening is a common topic among navigators and financial distress is a common theme. Each program has resources to manage this stress for patients, but it usually helps with transportation, medication, or medical equipment costs. Have you looked over the AONN+ conference agenda? There is lots of information with a variety of topics and many opportunities to network among peers. It was a delight to visit the North Texas AONN+ chapter in May to see how well they are doing and to rejuvenate with the excitement of peer to peer support. If the enthusiasm and energy from the conversations throughout the room could be bottled, fatigue would be cured! Do you ever feel that the world of oncology care is changing so fast that you cannot keep abreast of the latest in your area of care? For those of you who missed the annual conference last year, you can hear the presentations that were part of the Fifth AONN Annual Conference. We recognize that it is difficult to get travel time or funding to go to conference so part of your membership is access to past conference presentations. May is a month of traditional celebrations such as Mothers Day and Nurses Day. So “Happy Mothers Day” to all traditional mothers – the female parents and the same to all that “mother” individuals in the sense of exercising control, influence, or authority like that of a mother. Patient navigation programs have evolved over the past 2 decades as oncology care has become a complex network of prevention, early detection, genomic and proteomic treatment pathways, and survivorship promotion. As Spring teases us with warmer weather, the intention to move more is a little easier after a long day at work! Navigators have shown they are interested in keeping their patient on the move. The abstracts from 2014 reflect this theme. Studies have shown that nonclinically licensed oncology patient navigators play a huge role in eliminating health disparities. In the last e-newsletter, you met Mandi Pratt-Chapman who oversees a nationally recognized training center leading the development of navigation and survivorship programs at the George Washington University Cancer Institute. >A common theme heard at this year's conference was - I have just been asked to be a navigator - where do I start? Membership statistics show that the majority of navigators are new in their role and many do not have oncology experience. Navigators often feel overwhelmed to meet “all” the patient needs. One area of stress is financial planning with patients and their families. Sharon Gentry discusses the ongoing AONNonline.org website updates, the influx of new research being published in the Journal of Oncology Navigation and Survivorship and the potential for future AONN+ regional meetings to address the different needs and cultures throughout many navigator communities. A recurring discussion among the attendees at the 2013 Academy of Oncology Nurse & Patient Navigators (AONN+) Conference was “What are different navigators measuring?” This appears to be a daunting task for nurse navigators, and I would encourage you to review previous expert commentaries on the AONN+ website. In 2012, a session from the Third Annual Navigation and Survivorship Conference, “Navigation in the Age of Personalized Cancer Care,” discussed the Choosing Wisely® campaign from the American Society of Clinical Oncology (ASCO). The 2012 “Top Five” practices that physicians would be discussing with patients regarding the use of appropriate treatment and avoiding care that is unnecessary or in which harm may outweigh benefits were reviewed. As the New Year starts off, many people resolve to improve their life in one fashion or another. Usually the goal is diet-related to eat healthy and lose weight or to decrease a type of intake, such as caffeine or fat. We know that gyms are busy in January and attendance dwindles in February. The New Year is a time to set improvement plans. A new report from the Institute of Medicine highlighted rising factors that are leading to a crisis in cancer care?an aging population with members that are most likely to develop cancer and the cost of cancer care that is accelerating faster than any other sector of medicine. Identifying barriers is a common practice among all navigation processes. Barriers to care affect vulnerable patient populations the most. The focus is to share insight on some common barriers all navigators may face and to share ideas on how to address those barriers. The American College of Surgeons Commission on Cancer requires the phase-in of Standard 3.1 Patient Navigation Process by 2015. This has nurses and institutions looking for resources to start or enhance the current navigation process. Sharon Gentry, RN, MSN, AOCN, CBCN, discusses the importance of attending the tumor topic breakout sessions at the AONN+ Annual Conference. Sharon Gentry, RN, MSN, AOCN, CBCN, tells nurse navigators why they should “take their time” and also why it is critical that navigators learn to ask for help. Literacy experts agree that children need to read during the summer to maintain reading skills, improve reading confidence, and learn new words and concepts. Healthcare professionals that embrace lifelong learning use a 12-month reading program not just in the summer to apply the same principles to their education. Healthcare continues to change with a focus on prevention and outpatient care versus the long-standing way of reactive, inpatient acute care. There continues to be a role for inpatient care in oncology, but payer sources will reward the limitation of hospital visits in the future. Cookies for Chemotherapy Patients: Is there some evidence behind the practice? Chemotherapy-induced nausea and vomiting (CINV) is an unwanted side-effect of many chemotherapy drug treatments today. Complementary or alternative therapies, such as ginger, used in conjunction with other anti-emetic drugs have been shown to be promising in the battle to reduce nausea associated with chemotherapy treatment. One of the roles of a nurse navigator is to be aware of breaking news that creates headlines and can cause alarm to your patient population. With the pace of electronic technology in the media, it is not possible to catch all of the latest events; however, patients should be encouraged to call and discuss any items that cause concern. A consistent worry or concern that is shared among navigators is the measurement of what navigators do on a daily basis. The excuse that “we are just nurses” is not acceptable. Nurses assess, plan, implement and evaluate on a daily basis so navigators can do the same. A navigation assessment/evaluation/measure can demonstrate the benefit of the program to the organization and demonstrate value. Navigators are surrounded by metrics every day. The following examples are taken from the session at the Third Annual Navigation and Survivorship Conference titled Navigation in the Age of Personalized Cancer Care. For those nurses that recognized this title as a number one 1980 rhythm and blues song by the Whispers, you are a seasoned nursing veteran. This tune came to mind while reading the latest Nurses’ Health Study Newsletter and trying to recall how many questionnaires have been completed every 2 years for this prospective study. Pick up an oncology journal, attend national meetings…one will hear the term medical home. No, it is not a physical place for medical staff to retire and enjoy the golden years. It is a model of care that is “valued based”. Payers, insurance companies, are sending the message to the oncology world that the high cost of cancer care must be addressed. As summer approaches with plans for vacations, long weekends or quieter evenings, it is interesting to see and hear what colleagues have on their “to read” list. Liquids – Good or Bad for You? I cherish the Saturday morning breakfasts with my daughter and am fortunate to have other lively family members join us. A recent meal had us discussing “liquids if the gods.” It all started as a joke around the coffee the females thought they needed each morning. It is exciting to see survivorship come to the forefront of cancer care. It is not possible to compartmentalize survivorship care as the part of treatment that occurs after chemotherapy or radiation treatment. Navigators recognize how survivorship weaves in throughout the treatment phase. The presentation from the American Institute for Cancer Research (2012), “New Research Shows Cancer Risks of Sedentary Lifestyle,” is astounding – the longer you sit, the higher the risk for developing cancer! Yes, it is advantageous to have a lower body weight and to exercise regularly, but are we tuned in to the length of our daily sitting time? It is the time of the year to decide to make a commitment to a personal goal – a new project or the reforming of a habit. Where did this idea originate? The Second Annual Navigation and Survivorship Conference provided opportunities for each person to evaluate their navigation program and to listen to presenters describe supportive cancer services across the United States. How many metaphors can be used to describe a navigator’s job? It was interesting and visionary to hear all the descriptions given at the 2011 Navigation and Survivorship Conference. How many evenings do you read articles or news related to work? It is a hazard of the job unless there is time built in at work….I know….I was just dreaming! In reality, reading about your specialty or oncology advances is a professional commitment to stay abreast of the latest for your patients. It is amazing what has transpired over the past 10 years in oncology—just look at all the news on multiple myeloma and melanoma. Where is the Patient’s Voice? It is interesting to read or see opposing views on an issue in medical care. Healthcare professionals do a wonderful job on quoting facts and research findings. What is normally missing is the voice of the patient. Disparities in cancer are a core job activity that navigators encounter and work against on a daily basis. A recent news release on the disparity between recommendations and practice for breast and ovarian genetic testing was disheartening. Do you ever read the latest research studies and ponder that if you took a conclusion from one study and combined it with a conclusion from another, there might be an avenue for better navigation? This might be a hazard of reading too many findings at one setting! It is enjoyable to visit other navigation programs and to see the unique processes that are being utilized to help patient’s access healthcare systems and move through the treatment trajectory. After reading a synopsis on how budget cuts could impact healthcare, a parallel thought is how the economy could influence cancer survival rates. What will the future bring and what is the impact on navigation? After a recent navigation presentation, a participant approached me and commented, “Thank you, now I understand what our navigator does in her role.” The comment caused me to reflect...could that be the case where many of us work? Do people in our healthcare system know what we do? A recent article in CA: A Cancer Journal for Clinicians (March/April 2011), “Global Cancer Statistics,” reviewed the burden of cancer. Sadly, the disease continues to rise due to non-modifiable and modifiable factors. Despite the “youth promising” cosmetics, pills, and lotions, aging is inevitable and with increased age comes a higher likelihood of getting cancer. A recent article in CA: A Cancer Journal for Clinicians (March/April 2011), “Global Cancer Statistics,” called for diet modification and encouraged physical activity to help reduce the global cancer burden. A dietitian referral from navigators is appropriate as part of the treatment and survival plan. A recent survey of the nation’s cancer programs shows that most are getting through tough economic times by doing more with less...does this sound familiar? Twenty nine percent have reduced staff, ten percent have reduced services and fifty seven have a freeze on hiring. Would it not be great to have a paid day to read all the latest medical journals, relax and complete online CE or catch up on the latest webinar! What if you had an assistant that could help you stay up to date on resources? When working with systems that are contemplating a navigation program or when navigators visit our site because they have been hired to navigate but can not seem to find their niche, this is a question everyone asks at the beginning. It is stressed throughout the navigation world that there is not a standardized navigation program that can fit everywhere. With 1,479,350 people projected to be diagnosed with cancer this year, what is the chance that the majority will come in contact with a form of patient navigation? 50%? Or if narrowed to a nurse navigator, maybe 25%? At current, there is no way to calculate that number, but with more cancer programs initiating patient navigation programs, the vision is to increase their chance. After the 2006 initiation of navigation networking in North Carolina, Mary Corey, a Pfizer representative, organized a second annual meeting in Wilmington, North Carolina, in the spring of 2007. Mollie Poletto, director of the Healthcare Association of New York State (HANYS), shared her vision of navigation from the Harold Freeman model. The North Carolina Oncology Navigator Association (NCONA) held its first formal meeting in 2008. A steering committee composed of nurse navigators that had met informally since 2006, composed a purpose, goals, and four committees: Steering, Membership, Communication, and Education. In the spring of 2010, the Academy of Oncology Nurse Navigators (AONN) was invited to participate in the National Patient Navigator Leadership Summit held in Atlanta, Georgia. When I last reported to you about our progress, the North Carolina Oncology Navigator Association (NCONA) was making strides in becoming a state organization. We had a steady home under the NC Comprehensive Cancer Program. We are still on their website, but have been informed that it is time to leave the nest. I wish the energy from the first AONN conference could be placed in a bottle for navigators to use on those long, tiresome days. It was great to meet new people and put faces with e-mail friends. It also gave local colleagues a chance to spend time together outside of the work setting and to have fun. Dottye Wodogaza, Tiffany Winslow, and Kelly Jeffcoat, breast care nurses from the Columbia area, have been the driving force behind navigation networking in South Carolina. Their goal is to use their time effectively helping nurse navigators network and learn new information. At this point, they have only opened meetings to nurse navigators focusing on breast cancer. The Cancer Patient Navigators of Georgia was founded in 2009 in an effort to meet the needs of nurse navigators within Georgia, both educationally and for networking purposes. The formation of the group was conducted by the Georgia Society of Clinical Oncology, in partnership with the Georgia Cancer Coalition. Rachel Slamon, health educator at the Fox Chase Cancer Center Office of Health Communications and Health Disparities, shares with AONN members what is happening in the state of Pennsylvania as they move forward in the telecommunication age with webinars.